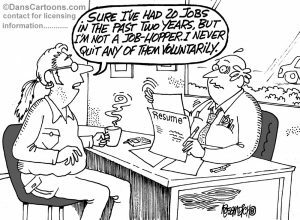 Job interview cartoons used in your print or social media or any digital presentations are available. 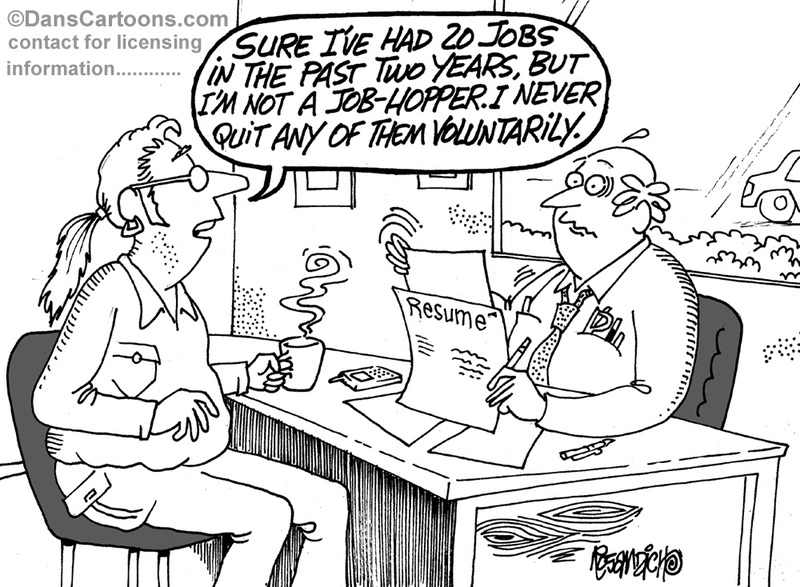 If you seek cartoon humor relating to interviews, contact me. I will attach a selection in a folder for your review. You can look over the cartoons and if anything has potential, I can provide you with the high resolution image file. Need anything modified? I can do that also. Re-drawing cartoons, adding color to cartoons or writing a new caption underneath is not a problem! Many of my best cartoons I have created over as many years, are those panels that relate to business. Business cartoon humor was and still is very big. Some professionals are not aware of the overall impact and value that a single panel gag cartoon will bring to the table. The proof is in other popular gag panel markets like The New Yorker. 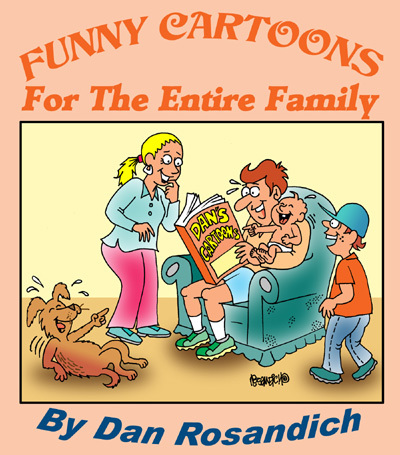 The have their own cartoon database where the are licensing single panel gag cartoons of their contract cartoonists for whatever specific usage that is designated on their site. Some ways in which job interview cartoons may work for you include adding them as prints that your human resources can use for wall hangings. Showing prospective employees you have a sense of humor will add levity to your interview. Use them in your print materials or add them to your applications. It will definitely put potential employees at ease so they can concentrate better! Perhaps you have your applications available online, on your web page or company HR page. Embedding a cartoon will attract potential applicants to your information and questions. I can also create any custom job interview cartoons and email me any of your questions as a fast response is guaranteed. If you want to talk about something, send your business phone number and I will definitely return the call as soon as you request. Thank you!